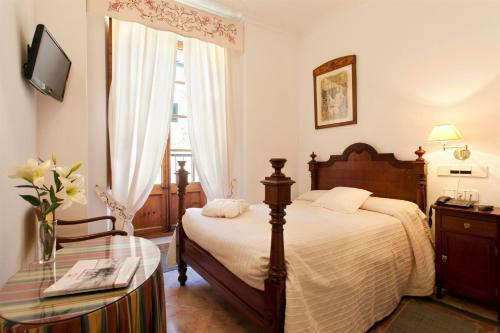 Bed and Breakfast Juma in Pollença is a B&B with 7 Rooms. 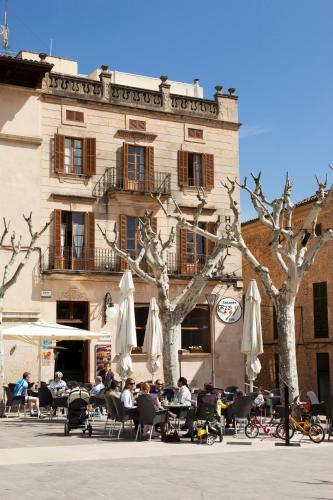 Located in Pollensa’s historic main square, this charming small hotel features a rooftop terrace with a hot tub and views of Sierra de Tramuntana. 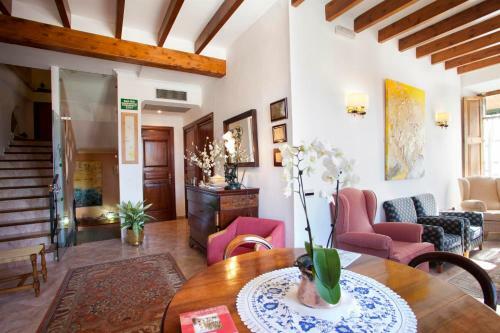 Open in 1907, this family-run hotel matches its timeless surroundings, with its antique-style furniture, wooden beams and a peaceful lounge. 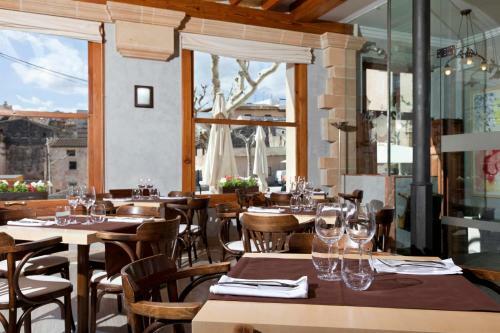 Hotel Juma's restaurant boasts a terrace situated on Pollensa's Plaza Mayor Square. The property also offers bike storage, laundry services, and car rental. 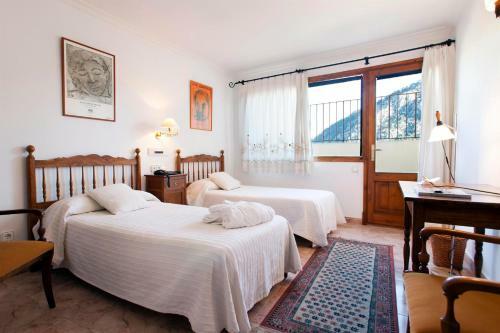 All rooms have air conditioning and heating and include... a flat-screen TV with satellite channels. Each has a private bathroom with a bathtub or a shower. Take the short drive to Port de Pollensa, where you will find some of the island’s best sandy beaches. You can also head further inland to enjoy the stunning countryside of this sun-baked Mediterranean island. The town of Pollensa itself has many remains from its rich Roman and Moorish past for you to explore. 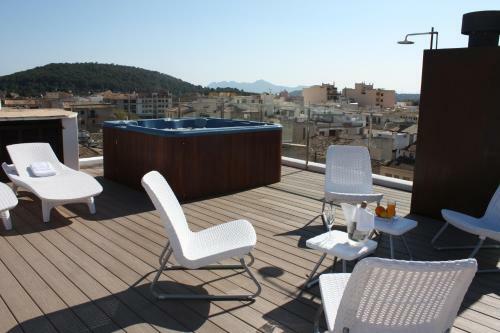 Located in Pollensa’s historic main square, this charming small hotel features a rooftop terrace with a hot tub and views of Sierra de Tramuntana. 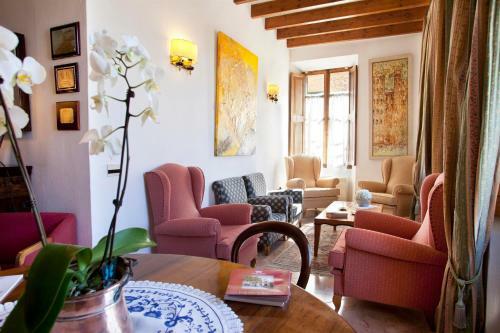 Ope...n in 1907, this family-run hotel matches its timeless surroundings, with its antique-style furniture, wooden beams and a peaceful lounge. 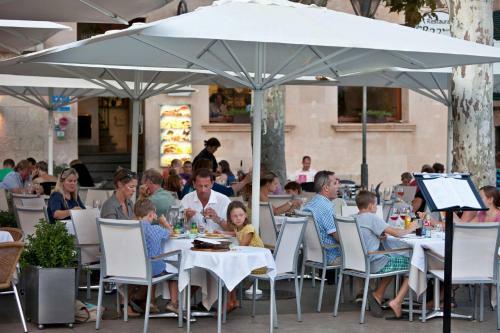 Hotel Juma's restaurant boasts a terrace situated on Pollensa's Plaza Mayor Square. The property also offers bike storage, laundry services, and car rental. 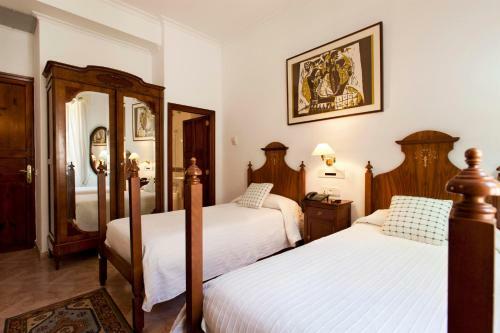 All rooms have air conditioning and heating and include a flat-screen TV with satellite channels. 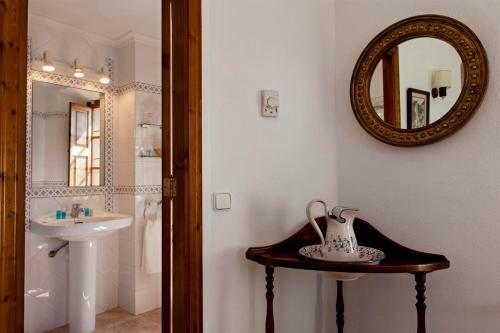 Each has a private bathroom with a bathtub or a shower. Take the short drive to Port de Pollensa, where you will find some of the island’s best sandy beaches. 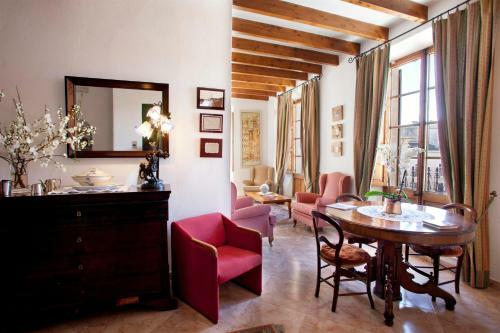 You can also head further inland to enjoy the stunning countryside of this sun-baked Mediterranean island. The town of Pollensa itself has many remains from its rich Roman and Moorish past for you to explore. When would you like to stay at Hotel Juma? Children and extra beds All children under 2 years stay free of charge when using existing beds. All children under 2 years stay free of charge for children's cots/cribs. 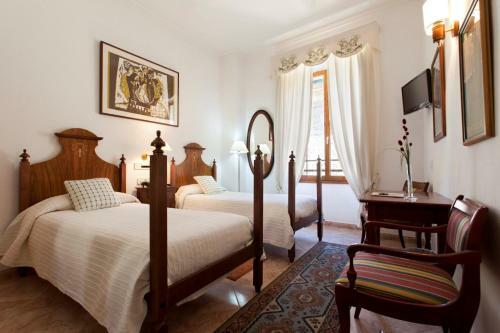 All older children or adults are charged EUR 26.75 per person per night for extra beds. The maximum number of extra beds/children's cots permitted in a room is 1. Supplements are not calculated automatically in the total costs and will have to be paid for separately when checking out. Any type of extra bed or child's cot/crib is upon request and needs to be confirmed by the innkeeper. Accepted credit cardsAmerican Express, Visa, Euro/Mastercard, Red 6000, Maestro. The Bed and Breakfast reserves the right to pre-authorise credit cards prior to arrival. Please note that the town’s annual festival is between 26 July and 02 August. This takes place in the square outside the hotel and may cause some noise disturbance.